Window Cleaning Systems, Water Fed Pole Systems, accessories, products, and free forum all in the one place. Reach and Clean windows from the comfort of the ground. New Window Cleaning MicroTrolly now available. Sales of professional window cleaning systems. Visit our very popular window cleaning system Blogg, mostly dedicated to water fed pole window cleaning systems and equipment. Ideal place to start if you are planning to start your own window cleaning business. We also have a dedicated water fed pole section, where questions are normally answered the same day, or next day at the latest. We have members from all areas in the UK, and some from Europe and the USA, if they don't know the answer there probably isn't one.All your reach and wash questions answered. We also have a very popular FAQ page on the Forum where you can just browse for the answers to the problem your having. Apart from having the most competitive water fed pole system prices on the Internet, there is also a wealth of water fed pole window cleaning knowledge contained in our forum. We now accept credit card payment, to use your card please phone 01506854962 or 07751964450 to place your order. Please see the link below for our privacy, deliver, and returns Policy. All telephone orders placed from 26th of April 2008 will have to be accompanied with a valid credit card for payment. All mailed orders accompanied with cheque will still be acceptable, and will be processed in the same way. Please also ask about our leasing options. Window cleaning equipment, water fed pole tools, accessories, supplies, products. All you need for hot water fed pole. Whether you're a window cleaner cleaning large commercial buildings, or a small window cleaning company with a mix of commercial and domestic, we can supply water fed pole equipment to meet your needs. We have poles to wash windows up to heights of 72 feet from the ground. 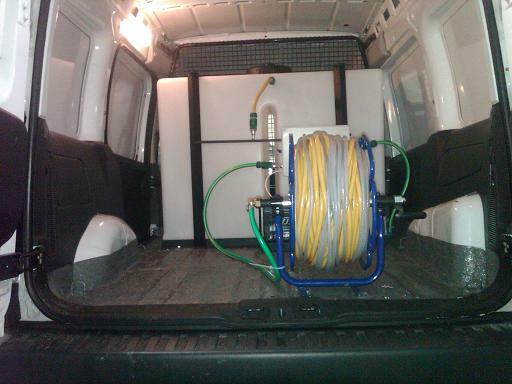 Van, Trailer, and Trolley water fed pole systems. Cleaning Products, tools, supplies, accessories, systems, equipment, for the window cleaning professional. Van water fed pole systems from £1295, add a Microtrolly £1595. Trailer window cleaning system £2400. Domestic window cleaning system £224. Special offer, complete fully fitted van system plus own independent trolley for only £1695. Allows two men to work independently. Water Fed Pole MicroTrolley coming soon orders now taken. Washing windows has never been easier with the new MicroTrolley window cleaning system. 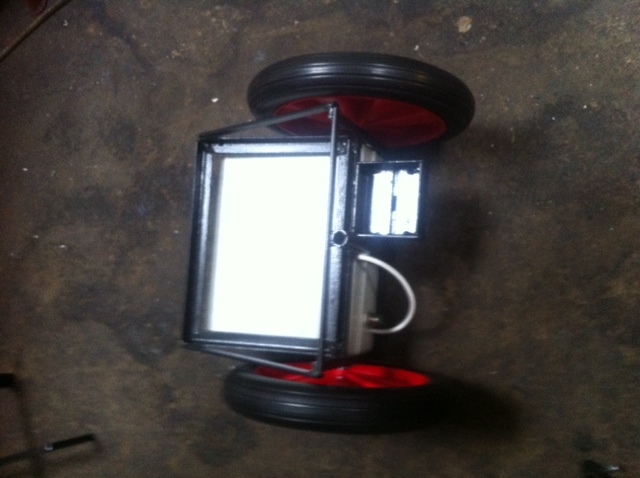 The easiest to use trolley on the market. No extra weight, and no extra parts. Cheapest Trolley on the market. Very light and compact, and even sits in the passenger footwell if needed. Only pump water when you need it to wash. Recent reports from users have indicated substantial water savings, and increased speeds. For more details and video clips of the new Patent applied for Window Cleaning Aquatap. The new Patent applied for AquaTap innovation in water fed pole window cleaning - revolutionary new product- save water and time. Clampless water fed pole, fantastic time saving over clamped poles. For more details and video clips of the new Patent applied Clampless water fed Pole. The new Patent applied for Clampless Pole latest innovation in water fed pole window cleaning equipment - revolutionary new product- save water and time. Up and down in seconds. Recent reports from window cleaners are indicating substantial time savings, and increased speeds. Web Blog, water fed pole window cleaning equipment discussions. Blog. Discusses issues and topics of interest to professionals and beginners alike. Topics include Water Fed Pole Cleaning, Water fed pole brushes, and Problems on the south coast with water shortages.